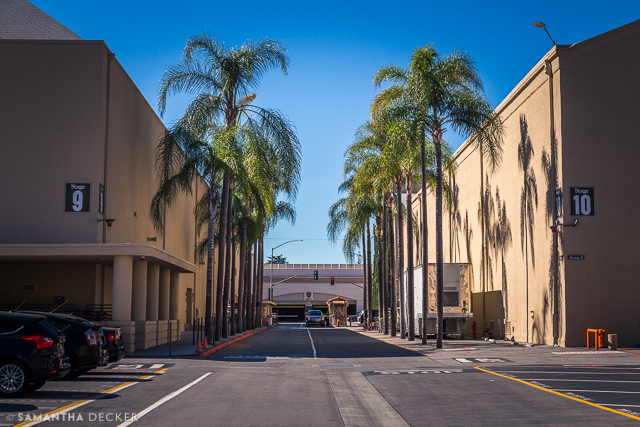 Continuing in my series of posts from my Southern California trip (click here to see my photos from Pasadena), in this post I will share photos I took at Warner Brothers Studios in Burbank. This isn't really a review of the tour so much as a photo essay, but looking at my photos may help you make a decision about whether the tour is right for you if you're considering taking it. Above are a bunch of facades I photographed from the parking lot. 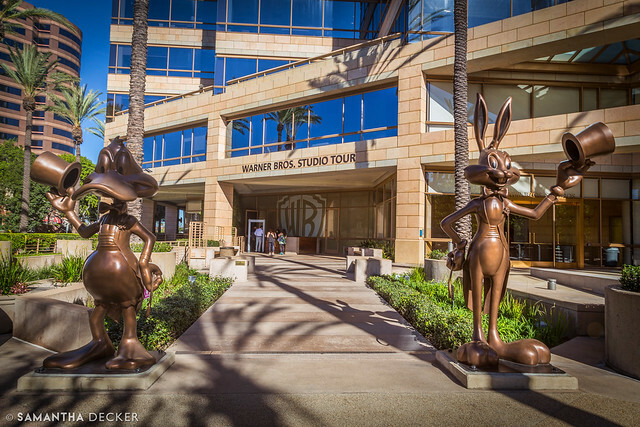 When you take the tour, statues of Daffy and Bugs greet you out front as you enter the main building. 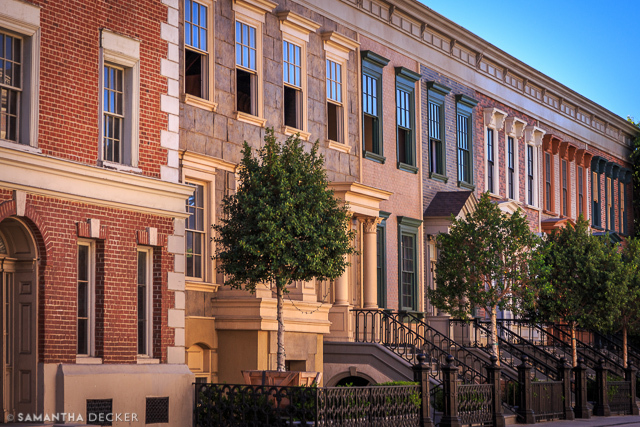 Then your tram takes you across the street to the actual backlot. 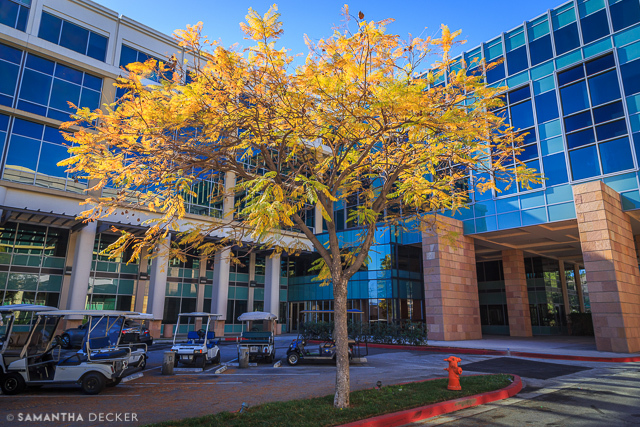 Office buildings such as the one above double for all sorts of buildings in moves and TV shows. Above, another set of facades. 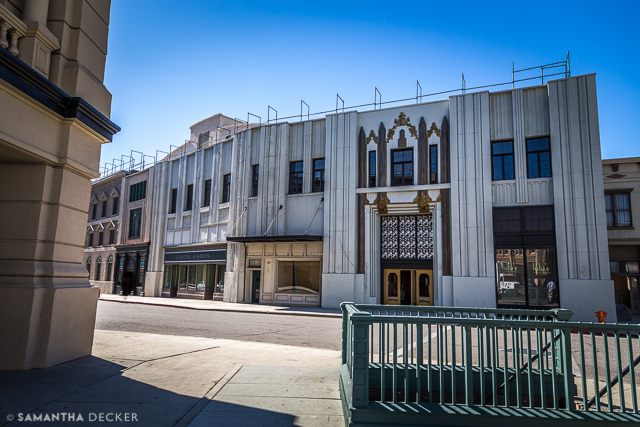 Without the context of the rest of the backlot, it almost looks real! 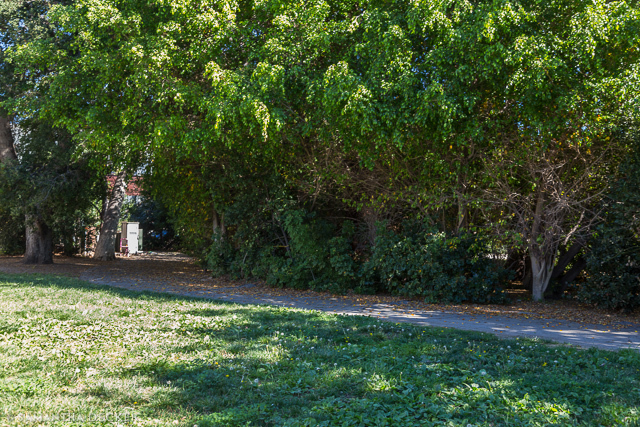 I know that the above photo is not very inspiring, but I included it to point out that this little grassy area often doubles for Central Park. In the episode of Friends where Phoebe runs funny, they were running in this exact area. 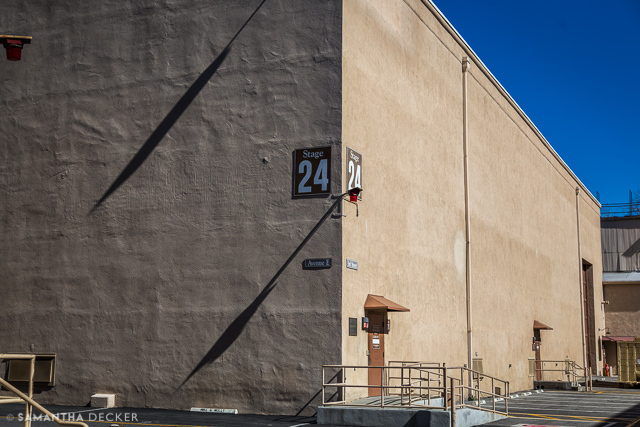 Ah, Stage 24. 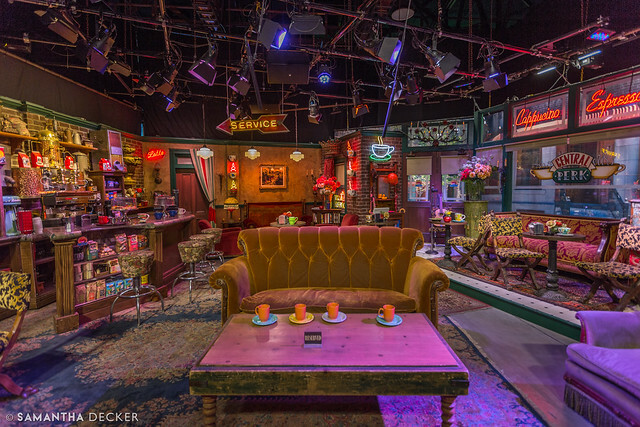 This stage is often referred to as the Friends stage, but it also was home to the final two seasons of Full House. I wish we could have gone in. Our tour guide took us through the prop department, which housed some artifacts used in various television shows and movies. What was really cool, though, was how certain items had tags with current TV show names on them. 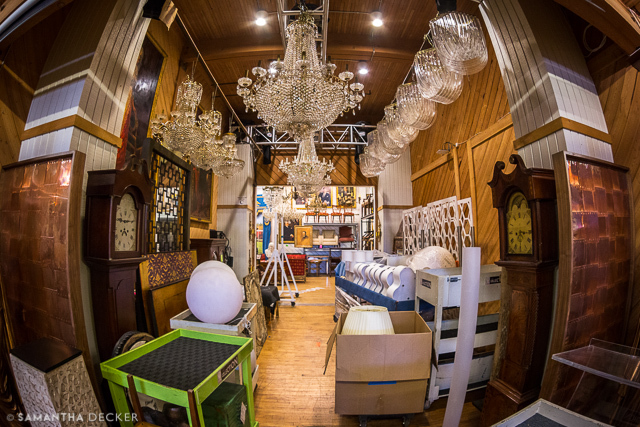 Those items were signed out to be used in upcoming tapings. 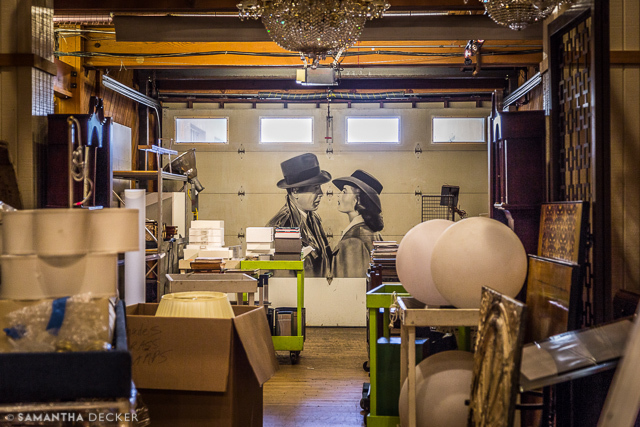 Above, a nod to the studio's most beloved film, Casablanca. These buildings often stand in for New York City, or any other big city. 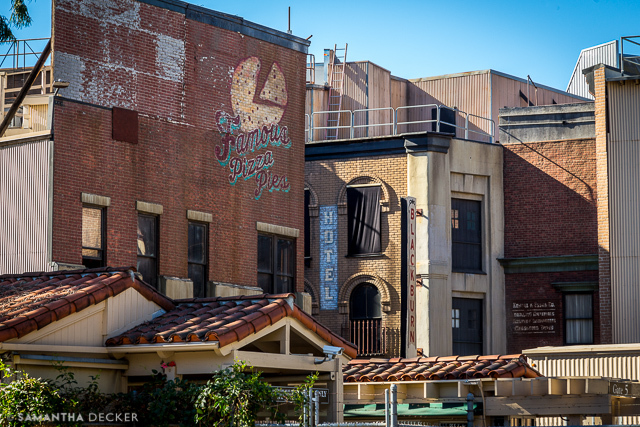 A tram passes by one of the many movie theater facades. 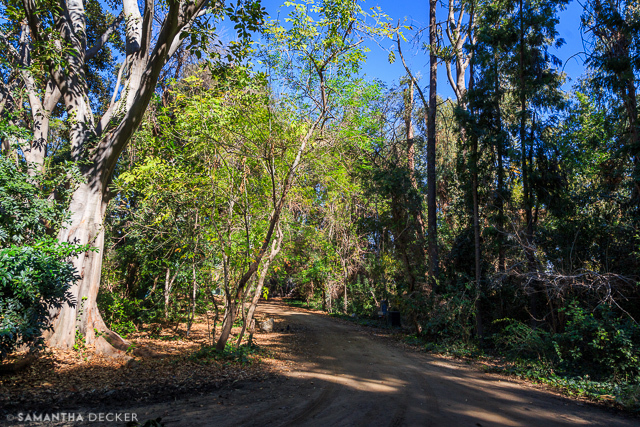 Above is another mundane photo, but I thought it was cool that this short stretch of "forest" area was the setting for a chase scene in Jurassic Park (beware, some profanity). They just kept backing up and using the same stretch over and over again, but in the movie, you think they're traveling a much greater distance. 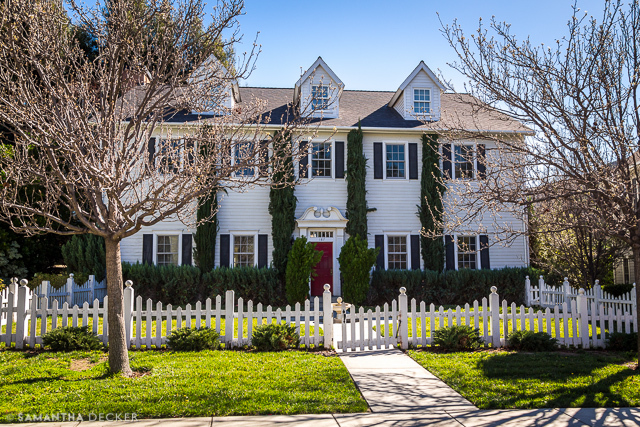 "Homes" like the one above, featured in Pretty Little Liars, are actually office buildings that can double as home exteriors when needed. 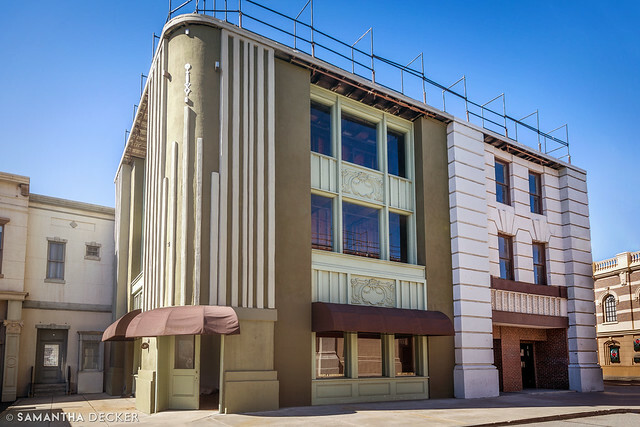 Inside shots would be done on sound stages, though, because these really aren't homes at all. 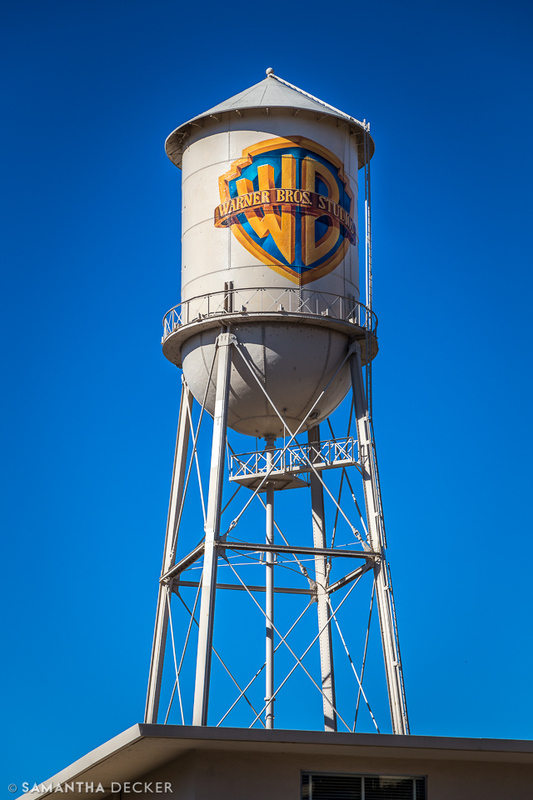 The Warner Brothers water tower can be seen from almost anywhere on the tour. 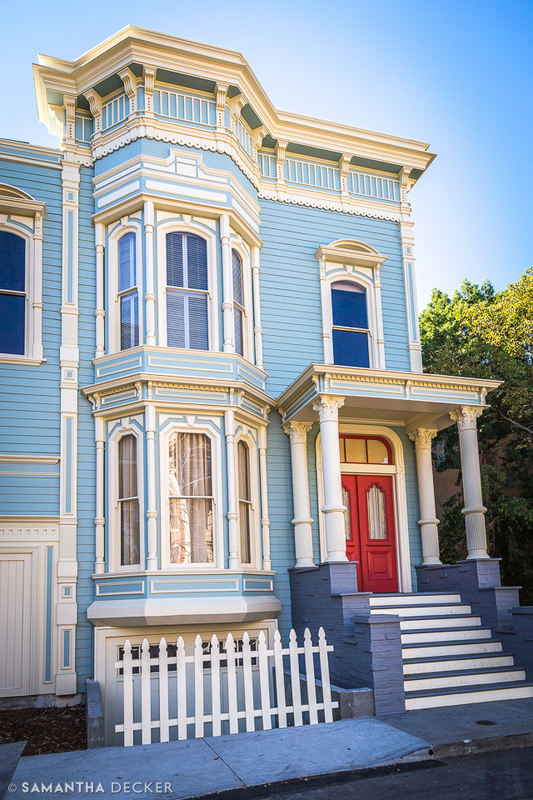 I won't deny that taking the photo above of the Fuller House house was the most thrilling moment on the tour. I don't understand why it's blue, though. I thought maybe the house was going to be blue for the new show, but it shows up as white. Looking out at one of the entrances. 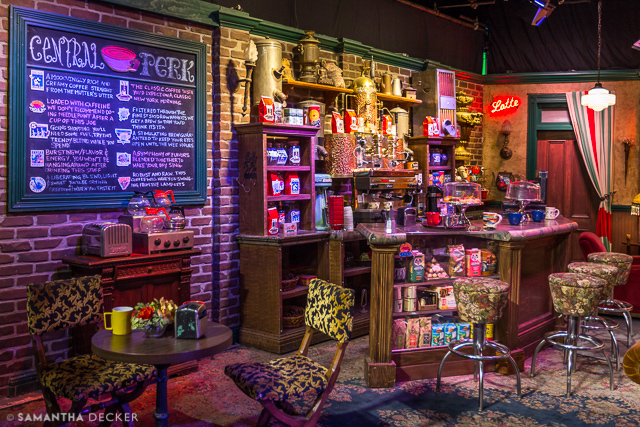 The cafe area is set up to look like Central Perk from Friends. 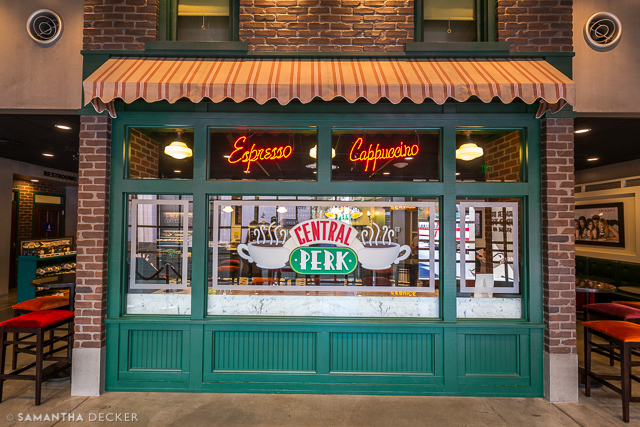 And just down the hall is the real Central Perk! You can even sit on the couch and have your photo taken! 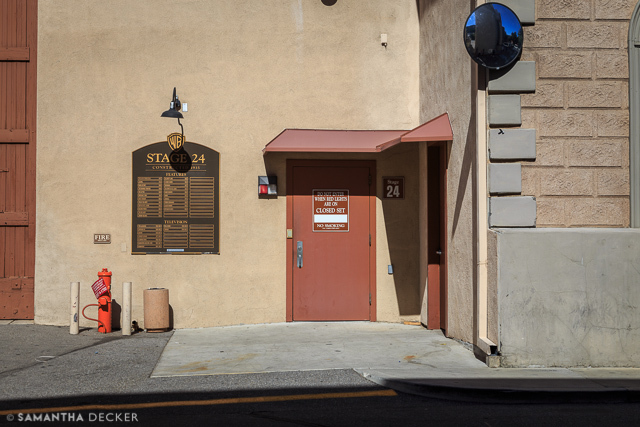 The set is the same one used on the show, but it has been moved to a different sound stage. What a great way to end the tour! I am leaving out lots of photos of memorabilia, because I don't find those to make very interesting photos, but you do get to see plenty of it on this tour (especially Batman memorabilia). 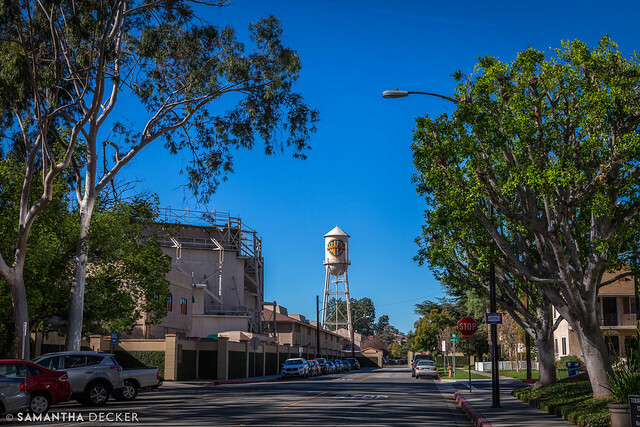 Have you ever taken the WB tour? Did you like it?